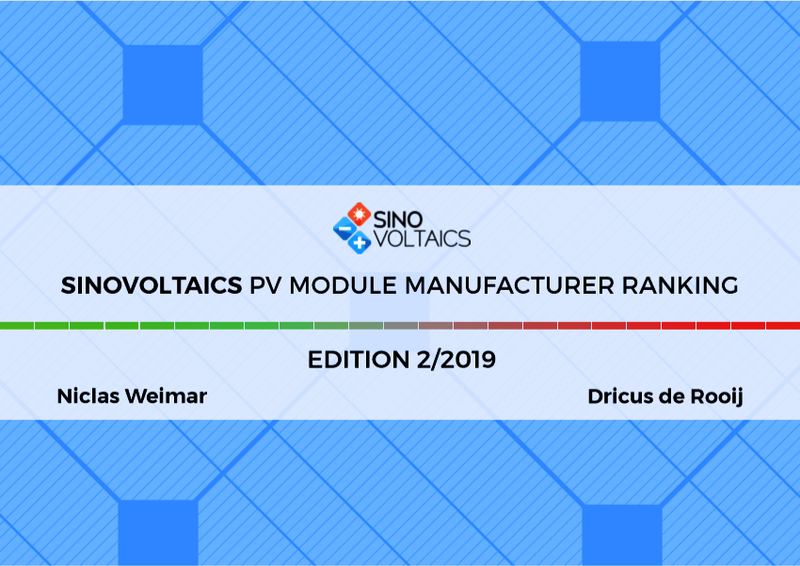 In Edition 2-2019 of the Sinovoltaics Ranking Report for PV Manufacturers we rank 75 leading PV module manufacturers according to their financial strength. The Ranking Scores of this Edition are based on publicly available financial data, which has been collected in March 2019. This Free Edition shows you the ranking of 10 out of 75 solar module manufacturers. Gain access to the complete Financial Ranking overview of the leading 75 PV Manufacturers? Why does Sinovoltaics Group publish this report? The financial strength of PV module manufacturers directly relates to their capability of fulfilling warranty obligations in the long term. Sinovoltaics Group uses the Ranking Report Scores to advise its clients which PV manufacturers to pick and which to avoid. What happens when a PV manufacturer goes bankrupt? Solar module product and performance warranties are typically valid as long as the manufacturer is around. When a PV manufacturer goes bankrupt, its product- and performance warranties will unfortunately no longer be valid. Valid warranties are important for PV plant developers and PV project owners who want to safeguard their project ROIs. A product warranty is important to cover defects related to the solar module’s workmanship. A performance warranty is important to have in place in case solar module’s degrade faster than anticipated and its output is lower than expected. Are many PV manufacturers at risk of going bankrupt? In the March 2019 Sinovoltaics Ranking Report there are 27 PV manufacturers that are ranked in the ‘Distress Zone’. The probability of these 27 companies going bankrupt within 2 years is over 80%. The past years we’ve seen multiple manufacturers going bankrupt, leaving project owners with an increased warranty risk, including LDK, Solyndra, Suntech Wuxi, Bosch etc. and the most recent bankruptcies of Suniva and Solarworld in 2017 shows that picking a financially healthy manufacturer is more relevant than ever. Edition 2, 2019: how do PV module manufacturers rate on the Altman Z-score? How does the Altman Z-Score work? Any questions about the Altman Z-Score? Read this background article first. How are the Sinovoltaics Altman Z-Scores interpreted? How are Sinovoltaics Ranking Scores calculated? How to interpret companies that have been consistently in the Grey Zone? Gain access to the Ranking Scores of 75 PV Manufacturers? 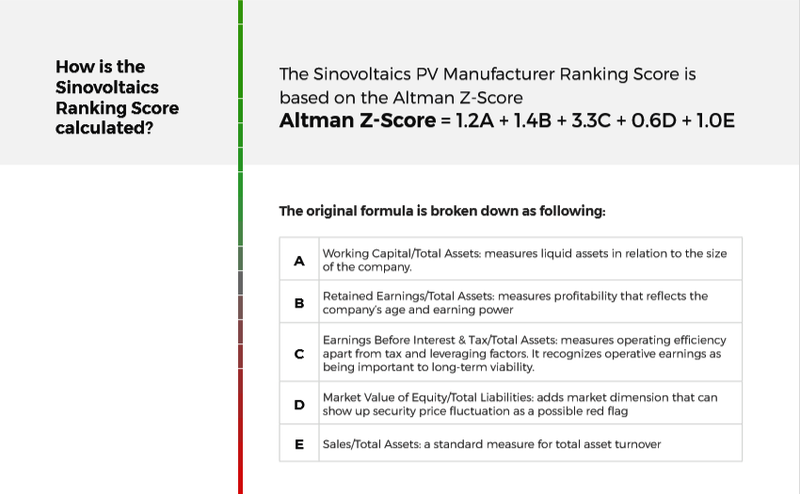 Altman-Z Score, Edition 1 - 2017: financially strongest PV module manufacturers?